Ry X, Adam Freeland, and Steve Nalepa aka The Acid’s mesmerising ‘Red’ has been handed over to Dutch powerhouse producer Olaf Stuut for a hypnotically deep remix, breathing fresh life into the act’s already stand out production. The Acid came together as collaborative project between British Grammy-nominated producer and DJ Adam Freeland, Californian polymath Steve Nalepa and Australian vocalist/producer/cult folk artist Ry X. 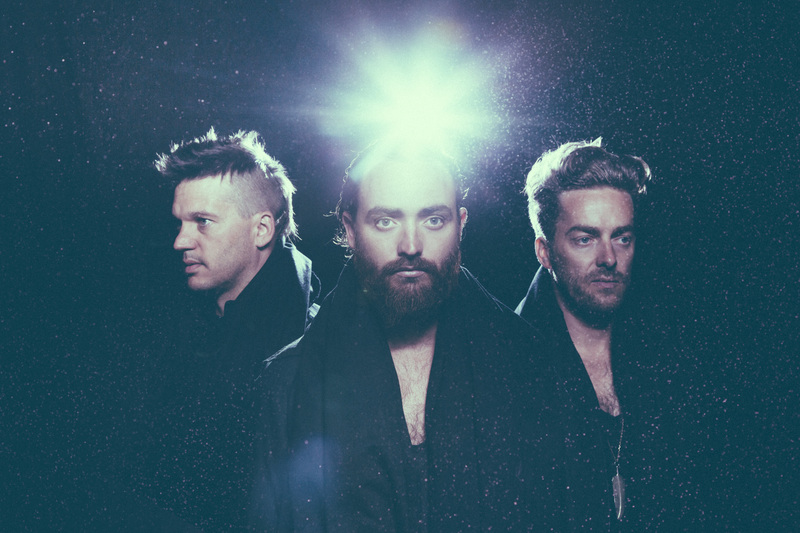 Breaking ground in 2013 with their debut self-titled EP, the trio quickly followed up with second release ‘Liminal’, a critically acclaimed work which showcased the collective’s influences and intended direction by giving clear nods to artists such as Portishead, Aphex Twin and Thom Yorke. The Acid are an act which penetrates a range of genres – from techno to R&B, deep house and beyond. Having made a name for himself via a plethora of dreamy productions on the underground’s premiere imprints including Cocoon, Manual Music, and TRAUM – Olaf Stuut was an obvious choice to rework ‘Red’. 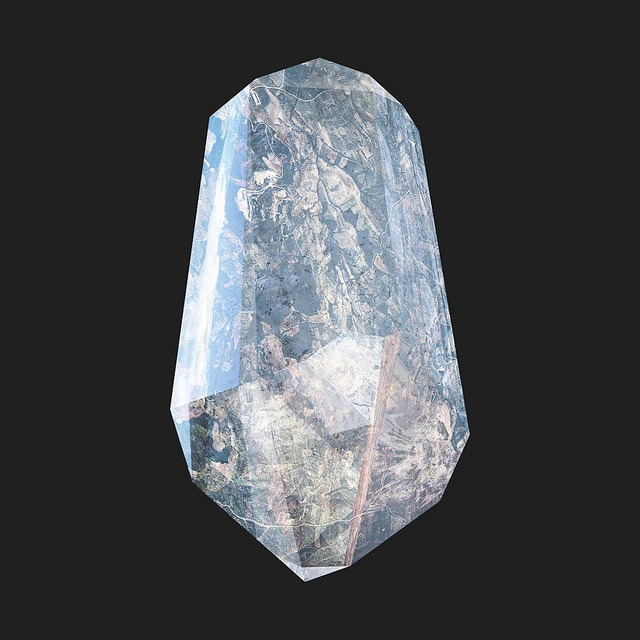 Straying away from the original’s decidedly nocturnal aura, Olaf’s interpretation of the sultry beat and rolling bassline is several shades darker, yet undeniably more club ready. Taking the listener on a journey through vastly different soundscapes, this reinterpretation showcases the Dutch producer’s more fractured approach to electronica. The result has a more purposeful beat that takes the track to an altogether more atmospheric place. Stuut’s adaptation of the original vocal also helps steer the track through it’s new path to deep-seated melancholia. The sultry male vocal retaining it’s mesmeric flow dances effortlessly over the enduring bassline and at times glitchy synth interchanges, now peppered with the introduction of flutes. The beat’s pace accelerates throughout the remix before a barrage of heavy drum kicks and quickening claps take the track on an upward climbing crescendo, breaking out into full on club roller and once again highlighting the track’s potential as a well rounded club record. Minimalist electronic trio, The Acid’s new single RA (released this June via. Infectious) has been given the Alex Banks rework. The Acid are back with RA, the next release from the bands debut album Liminal, released earlier this year via Infectious Music/Mute Records in North America, to widespread critical acclaim including the likes of NME, The Independent and DIY. With his take on RA, artist/producer Alex Banks injects layers of atmospheric percussion into the acoustically driven original for a dreamy down tempo edit, looping in the soft cooing vocals. Brighton native Alex Banks’ rework is a genre-blurring journey through house, trip hop and deeper ethereal beats. The Acid came together as a partnership between Brit Adam Freeland, L.A and producer Steve Nalepa. 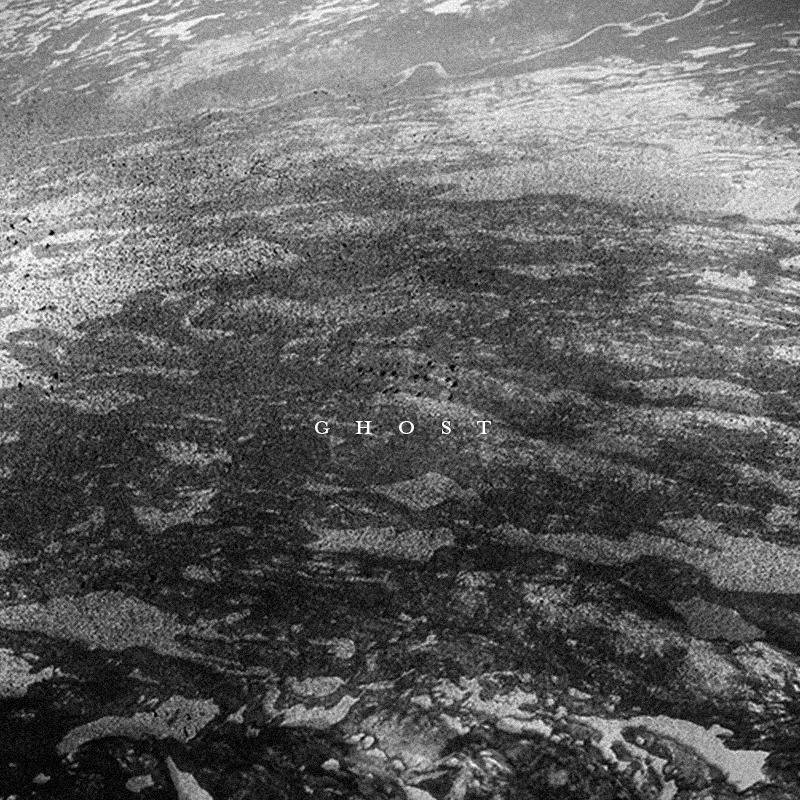 First appearing in 2013 with their debut self-titled EP, the group quickly followed up with the release of Liminal, a sonically drenched body of work with clear nods to artists such as Portishead, Aphex Twin and Thom Yorke, that crosses over a range of genres, which include everything from techno and R&B to deep house and beyond. Alex’s re-work of RA drops as part of a wider series of remixes, with other reworks coming from David August, Weval and Olaf Stuut ahead of their summer gigs and festival dates including Appletree, DE and Secret Garden Party, UK. Dutch DJ/producer Olaf Stuut has unleashed his signature dark and abstract spin on minimalist electronic trio, The Acid’s single RA, released this June via. Infectious). The Acid are back with the next in a string of remixes of their original track RA, released earlier this year. This time remixed by Olaf Stuut (Traum, Cocoon, Atomnation), who conjures a dreamy trip with his notoriously indefinable genre and expert use of percussion. The Acid came together as collaboration between British Grammy-nominated producer and renowned globe-trotting DJ Adam Freeland, Californian polymath Steve Nalepa and Australian vocalist/producer/cult folk artist Ry X. First appearing in 2013 with their debut self-titled EP, the group quickly followed up with the release of Liminal, a sonically drenched body of work with clear nods to artists such as Portishead, Aphex Twin and Thom Yorke, that crosses over a range of genres, which include everything from techno and R&B to deep house and beyond. Remixes from David August, Weval and LUKA are OUT NOW as well as a further rework from Alex Banks, set for release prior to The Acid’s summer gigs and festival dates including Appletree Garden Festival, DE and Secret Garden Party, UK . Minimalist electronic trio, The Acid’s new single RA (released this June via Infectious Records) has been given the David August rework. This new rework comes from Berlin based, classically trained pianist/ producer, David August, hailing from fellow German, Solomon’s Diynamic camp (previously making his debut for Dixon’s Innervisions label). August injects layers of atmospheric percussion into the acoustically driven original for a dreamy down tempo edit, looping in the soft vocals that coo “come on, come on”. August’s re-work is the second in a series of remixes with more to follow from Alex Banks, Weval and Olaf Stuut ahead of The Acid’s summer gigs and festival dates including Appletree Garden Festival, DE and Secret Garden Party, UK. Minimalist electronic trio, The Acid’s new single RA (released this June via. Infectious) has been given the LUKA rework. The Acid are back with RA, the next release from the bands debut album Liminal, released earlier this year via Infectious Music/Mute Records in North America, to widespread critical acclaim. With his take on RA, artist/producer LUKA injects layers of atmospheric percussion into the acoustically driven original for a dreamy down tempo edit, looping in the soft vocals that coo “come on, come on”. 23-year-old Luka’s remix pushes boundaries of genre fusing elements of haunting, synth-pop and hazy R&B. 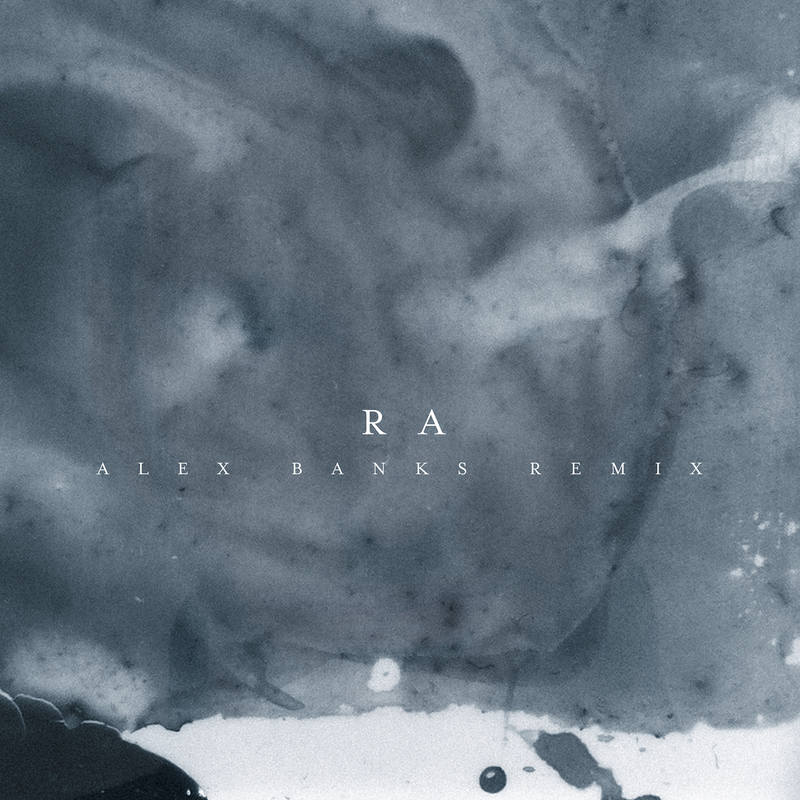 Luka’s re-work of RA is the first in a series of remixes, with more to come from Alex Banks, David August, Weval and Olaf Stuut ahead of their summer gigs and festival dates including Appletree Garden Festival, DE and Secret Garden Party, UK. 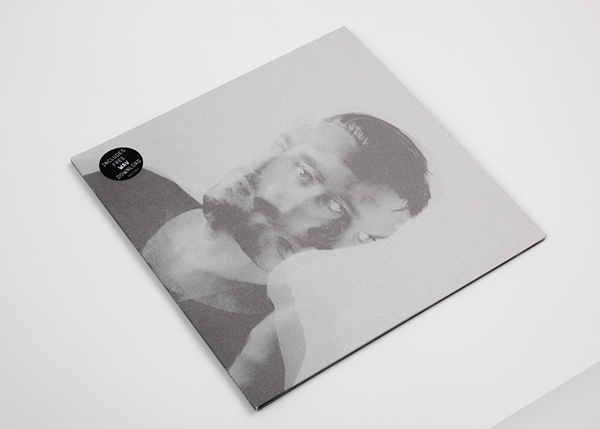 After exploding onto the scene with an accidental hit, ‘Howling,’ the unexpected duo of Australian singer/producer/cult folk artist Ry X (of The Acid) and Berlin’s 4/4 innovator Frank Wiedemann (of Âme and Innervisions) are now on the heels of an equally surprising debut album, Sacred Ground. Set for release in 4th May 2015 as a collaboration between MODESELEKTOR’s Monkeytown Records and Ninja Tune imprint Counter Records, Howling’s lush LP unfolds as subtly and instinctively as their artistic process. Often recorded on-the-fly between rehearsals and while on the road for their European tour, their acoustic/electronic compositions incorporate delicate instrumentation, warm strings and organs, driving analogue sounds, gentle field recordings, and of course Ry X’s unmistakable voice. Although there are distinct traces of both artists present throughout all 10 tracks, as a duo they’ve created a sound that veers away from anything expected. ‘Signs’ – the album’s first single – is a hypnotic capturing of their unique new sound, with Ry’s ethereal vocals floating through a divine minimalistic landscape. Watch the powerful Ry X & Dugan O’Neal directed video for “Stole The Night” below. Listen to the Âme mix here & Midland mix here. “Dugan and I always set out to capture the emotional essence of imagery in connection to music. In this ‘Stole the Night’ video we wanted to hold an open conversation about a few things… one was the concept of being ‘tamed’ by our current society… that we are all inherently wild and of the earth but are kept into belonging by the structures of our imposed ‘world’. Concrete and cereal, K-Mart and aesthetic importance of self. What if some of us better suit the wild. The earth. Belong more there, than within walls. And the second thing we explored was the fragility of human psyche. My sister is quite heavily ‘schizophrenic’ by medical world standards and has struggled, as has our family, with it for more than 15 years. Though I have reason of heart to believe ‘Mental Illness’ can change with our perceptions of it. It is shown in many indigenous cultures that when someone the western world might label as ‘mentally ill’ is instead supported by the community and given purpose and love, the ‘imbalances’ soften and there is connection to human spirit and heart. Holding the mind in a more stable place. 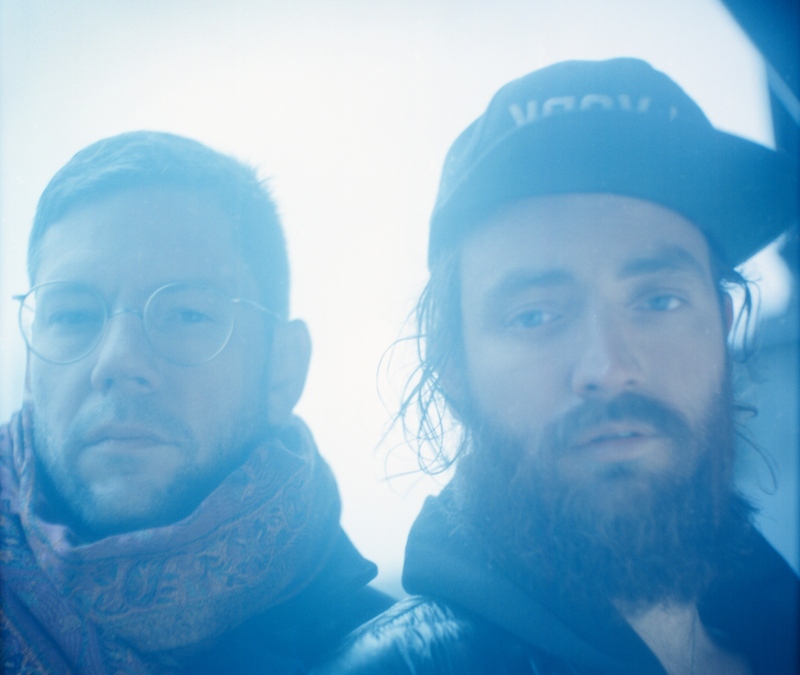 Howling is the collaborative project of Berlin producer Frank Wiedemann (of Âme fame) and Australian LA-based folk singer Ry X (of electro trio The Acid). Their great new single “Stole The Night” is out now; taken from the duo’s upcoming debut album “Sacred Ground”, which will drop on May 4th through Modeselektor’s Monkeytown and Ninja Tune’s sub-label Counter Records. Pre-order the album here. Freeland: “I think as an artist, when you start, you are just messing around and then it takes off. You get serious and you try to do things that you’re expected to do. There was no expectation of what we were trying to make for us though. We are all from such different worlds. We just wanted to try it out and see what happens. It was nice to come from that space without any expectation. 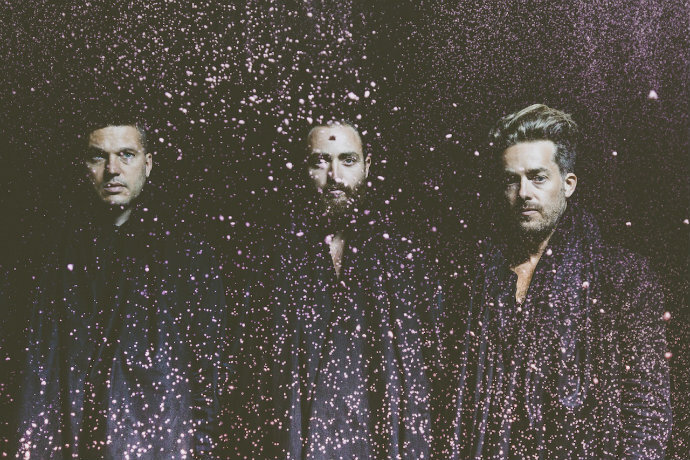 The Acid have unveiled their haunting video for new single Ghost. A visually arresting accompaniment of tumbling sand dunes, Californian sunrises and captivating plot twists culminating in an ending that will undoubtedly leave the viewer wanting more. Directed by renowned duo Elliot Lee Hazel and Petecia Le Fawnhawk, the pair’s career within music stretches across many years and has seen them work respectively with the likes of Beck, Interpol and Band of Skulls to name but a few. Shot in the picturesque Californian desert just outside the town of Baker, the pair drew further inspiration from Salvador Dali’s surrealist art to evoke a haunting yet serene atmosphere for the video. Ghost is the third single to be taken from the bands debut album Liminal, released earlier this year via Infectious Music/Mute Records to widespread critical acclaim including the likes of NME, The Independent and DIY. The Acid came together as a partnership between Brit Adam Freeland, L.A. producer Steve Nalepa and Ry X, an Australian songwriter. First appearing in 2013 with their debut self-titled EP, the group quickly followed up with the release of Liminal, a sonically drenched body of work with clear nods to artists such as Portishead, Aphex Twin and Thom Yorke, that crosses over a range of genres, which include everything from techno and R&B to deep house and beyond. Fresh from being re-worked by Maya Jane Coles, The Acid have unveiled the second remix of their latest single Ghost, this time by Hamburg-based producer, Oliver Schories. Ghost is the third single to be taken from The Acid’s debut album Liminal, released earlier this year via Infectious Music/Mute Records to widespread critical acclaim including the likes of NME, The Independent and DIY. Through their work both artists draw parallels in their music by accentuating the ambient mood in a track. However, with his remix of Ghost, Schories injects a fresh shot of brooding energy into the heavy and atmospheric sonic soundscape provided by The Acid, delivering an ominous and haunting undertone that quickly transforms into a dark deep-house dub. Oliver Schories is fairly new to the big stage, only establishing himself in 2010 after releasing with notable labels Ostwind Records and Parquet Recordings. Since his arrival, Schories is making his stamp as one of the leading figures in a new wave of Hamburg producers creating atmospheric, yet emotive house. The Acid came together as a partnership between Brit Adam Freeland, L.A. producer Steve Nalepa, and Ry Cuming, a.k.a. RY X, an Australian singer/songwriter. First appearing in 2013 with their debut self-titled EP, the group quickly followed up with the release of Liminal, a sonically drenched body of work with clear nods to artists such as Portishead, Aphex Twin and Thom Yorke, that crosses over a range of genres, which include everything from techno and R&B to deep house and beyond. Oliver Schories’ re-work of Ghost is the second in a series of remixes with another to follow shortly, this side of Christmas.